Obsessive Compulsive Disorder research papers overview OCD as a psychological disease that affects many Americans. Obsessive-compulsive disorder research illustrates that obsessive-compulsive disorder is a psychiatric problem that affects approximately 2.5 percent of the population of the world, including children and adolescents. The diagnostic criteria as presented by the DSM-IV are described. 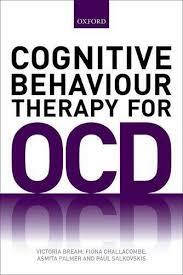 Furthermore, characteristics of adults and children who suffer from Obsessive-compulsive disorder (OCD) are explored. Two case examples of an adult and an adolescent with Obsessive-compulsive disorder are presented to illustrate how their symptoms might be expressed within their daily life and home setting, and the consequences that might result from having this particular disorder. Current assessment tools with potential limitations are also examined. A description of a new instrument is provided. Differences between adults with OCD and children with OCD are also examined. Typically, there are few differences. However, age of onset may be determined by causality of the disorder. Further examination or research of these issues is warranted. Treatment modalities are also discussed. Those most promising for the majority of OCD suffers include exposure and response prevention and medications, specifically SSRIs. Difficulties associated with these treatments are also examined. A critique of current research is provided, noting that research design and subject clarification have not been adequately controlled. Future avenues for research are also explored. Paper Masters writes custom research papers on Obsessive Compulsive Disorder and overview OCD as a psychological disease that affects many Americans.